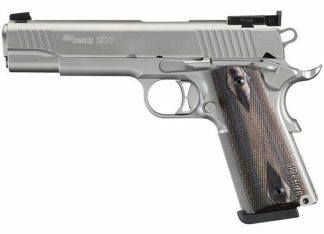 The Sig Sauer 1911 Match Elite Stainless Full-Size 9mm Pistol is the first SIG 1911 to be offered in a caliber other than .45 AUTO. 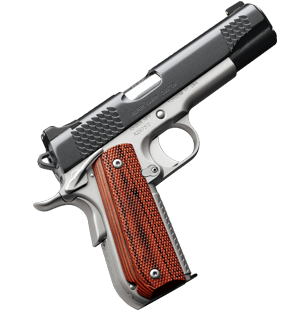 The 9MM Match Elite model feature a natural stainless slide and frame, white controls, adjustable target sights and Hogue custom wood checkered grips. 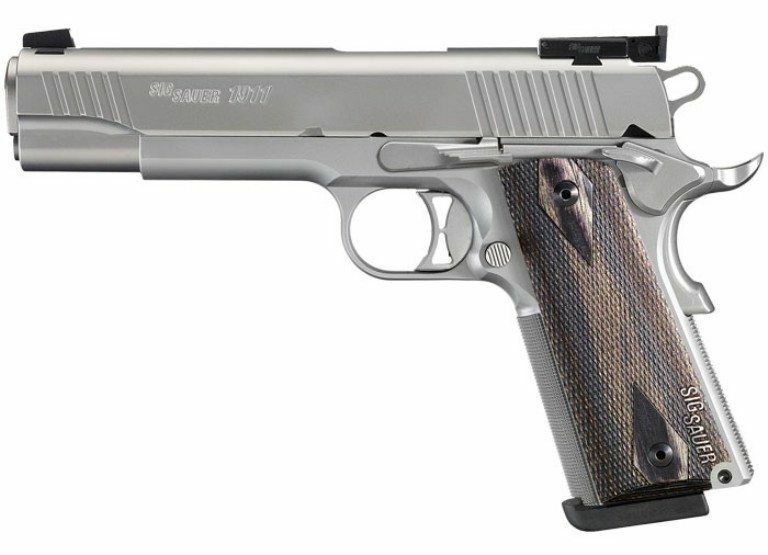 The traditional models feature the recognizable round-top 1911 slide profile, front cocking serrations and a lightweight, three-hole trigger. 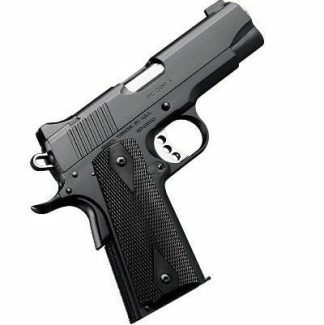 Standard on all models are a match-grade barrel, flat mainspring housing and grip safety. Front straps have 25LPI checking and the mainspring housing has 20LPI for optimum grip and user comfort. 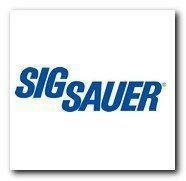 Xtreme Guns and Ammo in Richmond Texas carries the Sig Sauer 1911 Match Elite Stainless in Stock at all times, Feel free to call us with all your Sig Sauer pistol needs at 832-363-3783, Or chat with us during regular chat hours online.